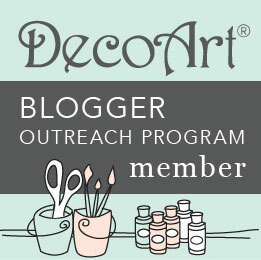 Hello Crafty Friends!! Happy Hump Day!! 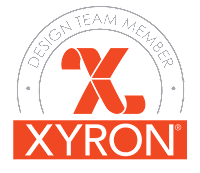 I'm back again with Team Xyron today, and we have something special lined up for you!! We will be partnering up with Lawn Fawn all week long to bring you tons of crafty fun and inspiration!! 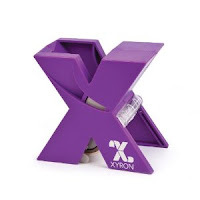 And as an added bonus, both Lawn Fawn and Xyron are each giving away a $50 prize package which includes one $25 gift certificate and one Xyron Mega Runner. 1) Visit BOTH the Xyron and Lawn Fawn on Facebook. Xyron & Lawn Fawn collaborated projects during the entire week. Easy Peasy Lemon Squeezy, right??!! For my project I used Lawn Fawn's Elphie Selfie clear stamp set. I was lucky enough to play with set at the Xyron AND the Lawn Fawn Booth during Creativation and immediately fell in love. 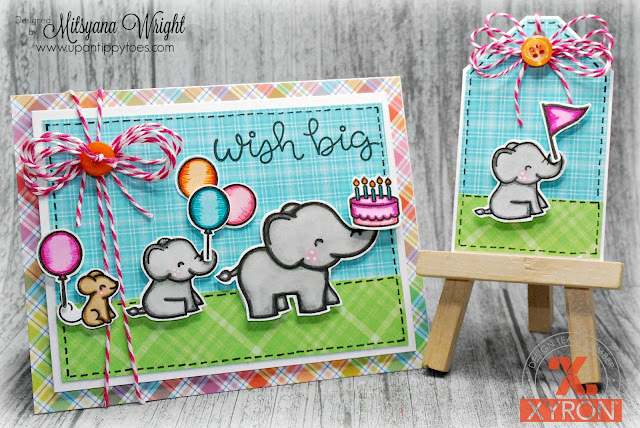 Not only are the characters adorable but ,with all the different sentiments included, this set is very versatile. I started by first stamping my images onto Strathmore Mixed Media Paper. This is a heavy duty, multi-purpose paper, that holds lots of moisture from different mediums with minimum bowing. Then, I traced and shaded my images using Tim Holtz Distress Markers. I used a Aquash Water Brush pen filled with water to blend the colors out. Next, I used a scissors to cut out the images. 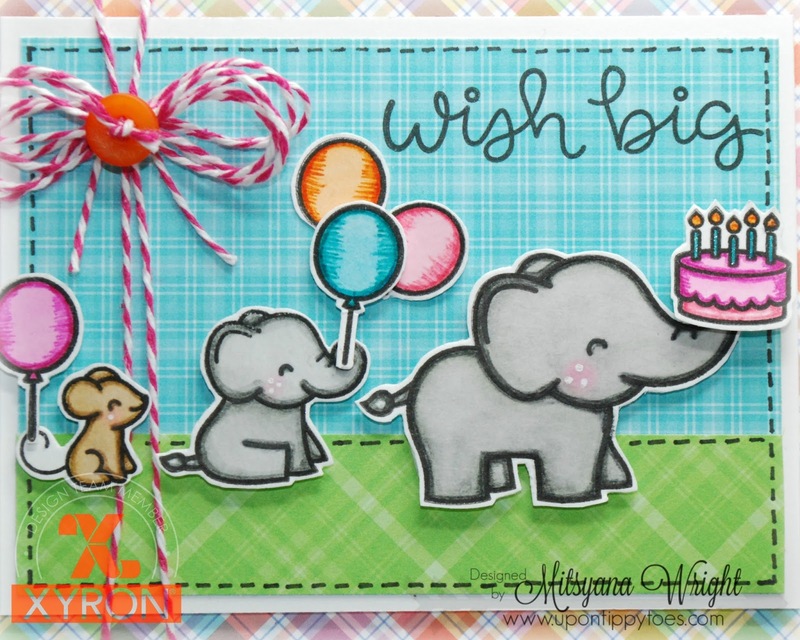 If fussy cutting isn't your thing, Lawn Fawn also make the coordinating dies for this set (HERE). I, on the other hand, don't mind hand cutting. I sometimes find it very relaxing. 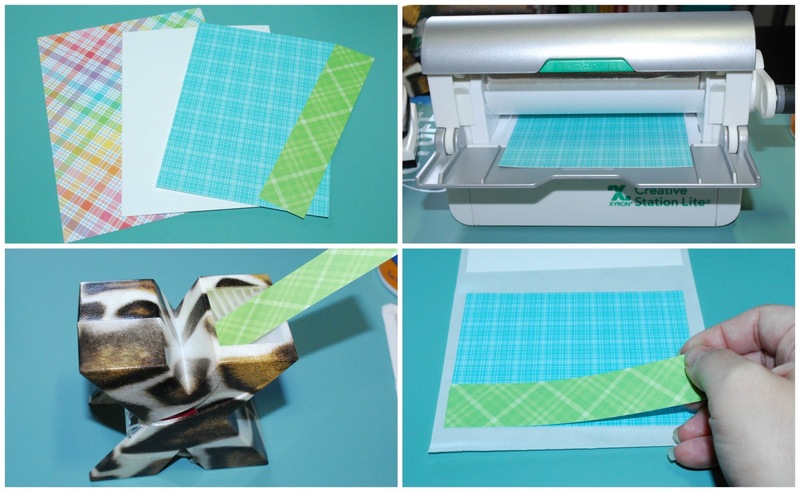 Rainbow plaid paper - 4.25" x 5.5"
White cardstock- 3.75" x 5"
Blue plaid paper- 3.5" x 4.75"
Green plaid- 1" x 4.75"
I ran the blue plaid and white cardstock through the Xyron Creative Station Lite and layered them onto each other, leaving a .25" white border around the blue. Then I applied adhesive on the 1" x 4.75" strip by running it through the Xyron 1.5" Sticker Maker (aka "X") . I attached it to the bottom of the blue paper creating a blank landscape to place my critters. I did not attach my landscape to the rainbow plaid at this point. I knew I wanted a little dimension to my card so I decided to rain the landscape piece with some home made foam adhesive sheets. 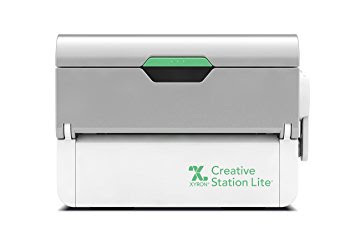 To make my own foam adhesive, I simply took craft foam sheets and cut them down into two smaller pieces, and inserted it into my Creative Station lite. Once through, I trimmed the excess protective film off the sides, flipped the foam faced down and ran it through my machine again. Make sure you burnish your foam for maximum adhesion. Now both sides of the foam have adhesive on them. I peeled back the protective film off one side of one of the foam sheets and applied it onto my landscape piece. 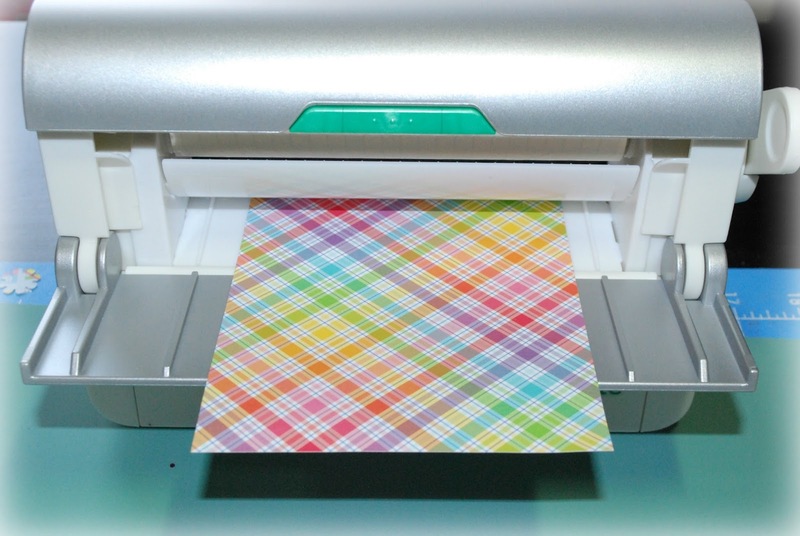 At the same time I was making foam I also ran through my rainbow plaid paper. This will be for when I attach the entire card front onto my plain white A2 sized card base. Then, once that part was done, I peeled the other backing off the foam and mounted my landscape piece onto the rainbow sheet. Now, with the left over adhesive foam sheet, I cut it into .5" strips, then down to little square and rectangles. to fit the back of the stamped images, creating little pop dots for most of my cut-outs, and attaching them to the backs. Finally sticking them onto their little landscape. All I needed to do was peel the protective film and attach images as desired. 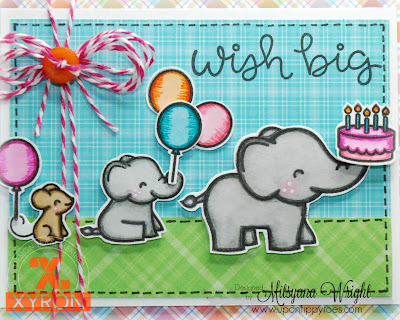 I stamped my 'Wish Big' using VersaFine Onyx Black Ink. I love how bold and crisp it stamps. I found some really thick dark pink and white twine that went perfect with all the colors of the card. So I decided to wrap it a couple times and tie a multi-loped bow onto my card. 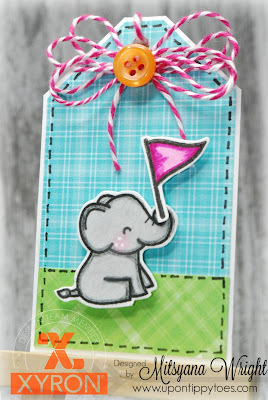 I decided to make a tag with the extra paper I trimmed off making my card. These were obviously too small to make another card but big enough to make a tag. I don't like wasting perfectly adorable paper. Putting it together was a cinch! The created the tag by snipping off a corner to a 2"x 3.5" rectangle, I flipped it over and laid it faced down and mirroring the other side. lined up the corner to make sure they were straight and even, then took my scissors and made an identical cut. Then I took a .5" x 2" strip of leftover green paper and mimicked my card with a landscape view. Next I ran my tag through my Creative Station Lite ad mounted it on white cardstock and trimmed a .25" border around it. 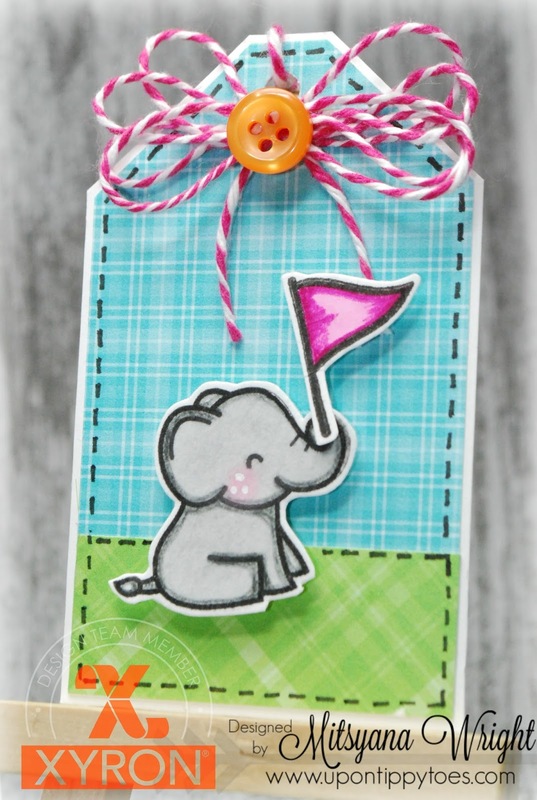 I also had a little ellie and a pennant leftover from my colored stamped images, to decorate my tag with. Then, I punched a hole at the top of the tag and tied a bow up on top. And for the final touch, a little faux stitching on both the card and tag, by creating dash lines around the perimeter of both. Hope you all enjoyed this project!! Thanks for stopping by!! don't forget to enter in our awesome GIVEAWAY by visiting the Xyron and Lawn Fawn pages on Facebook! This is just so cute! LOVE the tag & matching card. 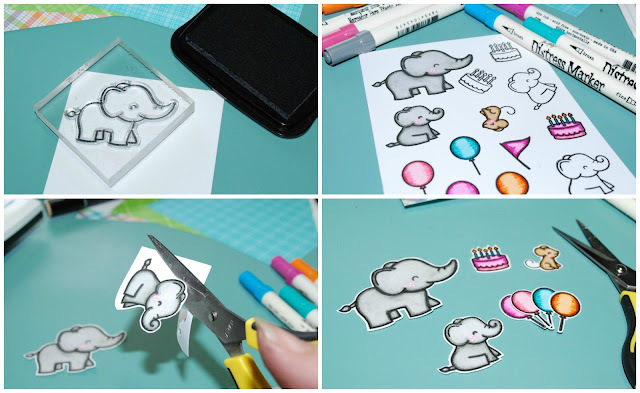 those elephants are adorable! I seriously had no idea you could run foam through my Xyron machine! You should do a video on this technique! 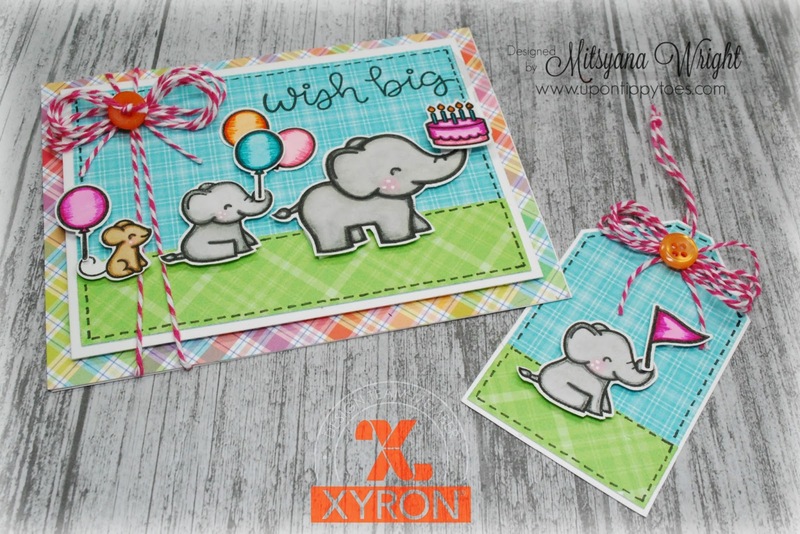 How about a shaker card tutorial for the next tutorial using foam sheets with the Xyron?! I would have never thought of using the "leftovers" as pop dots! Such great ideas! Your card is so AWESOME!! These little elephants are super cute. 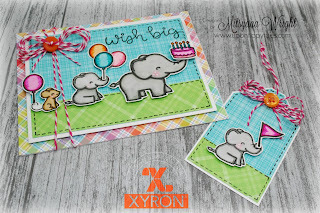 XYRON and LAWN FAWN is a much have in any craft room. Thank you!! for sharing your wonderful cards and tag. Love them. Love the cute elephants. Great ideas.